If I had super human powers, I'd be posting a real post with pictures right now, but I'm not. I'm so worn out after the long week of girls camp, I just thought that I'd let you all know that I survived, and that I'm back home. I'm just relaxing today, and trying to catch up on my rest. Brent and the kids had the house all cleaned and perfect for me when I got home, and that was wonderful. I'll post for real tomorrow! 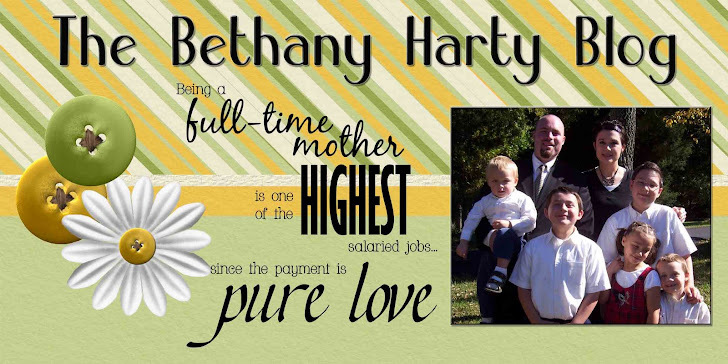 Yeag for Bethany.. Home at last! !